Prime Time Family Reading Time has been offered in four Norfolk elementary schools since 2006. On Feb. 5, Jefferson Elementary will become the city’s fifth school to offer Prime Time to its families. Prime Time is a Nebraska Humanities Council (NHC) family literacy program designed to help strengthen participants’ interest and skills in reading and talking about books. The six-week bilingual series is offered free to all families whose children, ages 5 to 10, struggle with reading. Jefferson Elementary and Westside Elementary will each offer Prime Time on Tuesday evenings during the spring semester. Jefferson will host the series Feb. 5 through March 12. Westside will offer the program March 19 through April 23. Each session begins at 6 p.m. with a light meal and continues with storytelling and discussion based on award-winning children’s books. All books are read and discussed in both English and Spanish. Selected books will help families discuss themes such as courage, curiosity, determination, dreams, fairness, greed, and what it means to be family. Discussion leaders and storytellers will introduce parents to the benefits and pleasures of reading and discussing stories with their children. Separate preschool activities, provided by Northeast Community College’s Early Childcare Program and the Norfolk Senior High Book Club, will be available for younger siblings. Since 2002, nearly 5,000 Nebraskans have participated in one or more of the 101 bilingual and English-only Prime Time series held throughout the state in 15 public libraries, 10 elementary schools and three community centers. Norfolk Public Schools has offered 20 Prime Time series in the past six years, reaching more than 400 Norfolk families. A 10-year impact study found that students who participated in Prime Time during their early elementary years outperformed their peers on grade level content in standardized exams. Prime Time students scored higher in language arts and reading, mathematics, science, life science and other subjects. The study, published in 2010, was conducted in Louisiana where the Louisiana Endowment for the Humanities developed Prime Time in 1991. In a 2012 survey of Nebraska families who participated in Prime Time, 89 percent said they spend more time reading now as a family, 88 percent said the program improved the way they read and discuss books together, and 98 percent showed interest in participating again in Prime Time or similar family reading and educational programs. 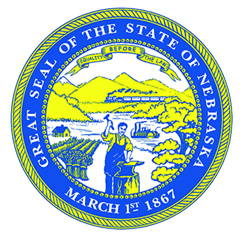 Prime Time is sponsored in Nebraska by the Nebraska Humanities Council with funding from the State of Nebraska, Nebraska Cultural Endowment, and private donors. Sponsors for Prime Time in Norfolk include Norfolk Public Schools and Read Aloud Norfolk. The NHC is a private, statewide, non-profit affiliate of the National Endowment for the Humanities.